After a fully sold out concert last year Laboratorium Pieśni (Song Laboratory) is returning to AMSTERDAM with the premiere of their NEW ALBUM – “RASTI”! Ticketsales starts 21 January 03:36 am (superbloodwolfmoon). Buy your tickets here, more info in the event on Facebook here. For the Early Birds and Lovers of Magic ticketsales starts on the powerful full moon and start of the eclipse of January 21st at 03:36. The first 100 tickets are Early Bird tickets! Also a perfect moment to set your intentions for your New Year! Femininity is a song, polyphonic, from the inside of the earth, from the beginning of the world. 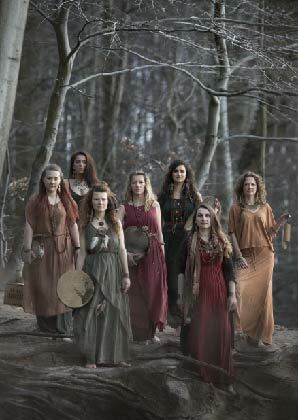 As ancient as stones, as ancient as the primeval forest, as ancient as the first sound, the first vibration. Femininity is freedom. Femininity is the voice of nature, uncontrollable wildness and gentleness at the same time. Femininity is a beating source. Femininity is a pure celebration of life. 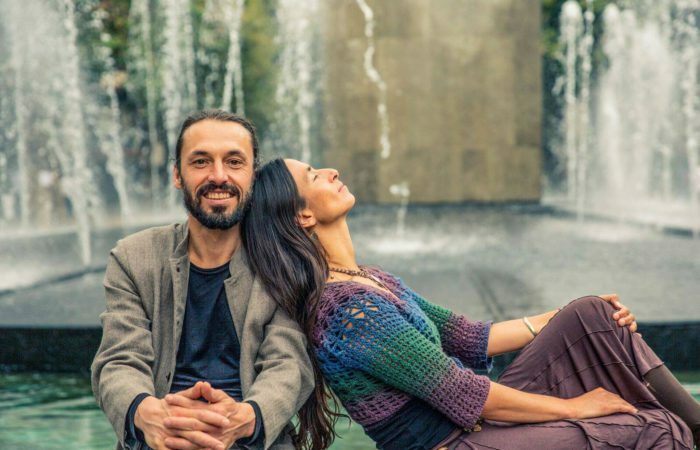 Join us in Amsterdam and celebrate with us the birth of their new album: “Rasti”. Voices in Amsterdam: Alina Jurczyszyn, Kamila Bigus, Lila Schally-Kacprzak, Magda Jurczyszyn, Alina Klebba, Karolina Stawiszyńska. So I can climb your trees. On a soft green pillow. RASTI, that is: “grow”. Grow, thrive, rise and become a high pine, liven up, spread your wings, trust yourself and your powers, see who you are and discover how beautiful you are. Dance your life, breathe and enjoy yourself. And most of all – create sounds, sing your own songs coming from your essence, emerging from your soul. Come and experience this spiritual travel in beautiful De Duif. 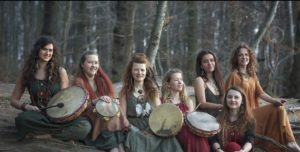 Laboratorium Pieśni – Song Laboratory (world/ethno/spiritual/mystic folk music) is a group of female singers from Poland, created in 2013. Using traditional, polyphonic singing they perform songs from all over the world, mainly: Ukraine, Balkans, Poland, Belarus, Georgia, Scandinavia and many other places. 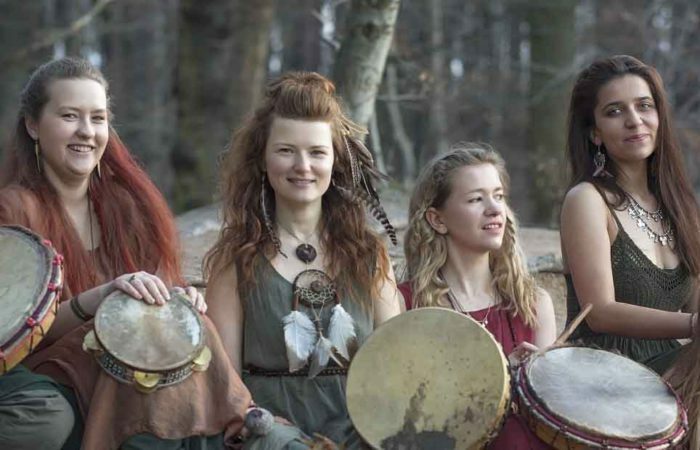 They sing a capella as well as with shaman drums and other ethnic instruments (shruti box, kalimba, flute, gong, zaphir and koshi chimes, singing bowls, rattles etc. ), creating a new space in a traditional song, adding voice improvisations, inspired by sounds of nature, often intuitive, wild and feminine. 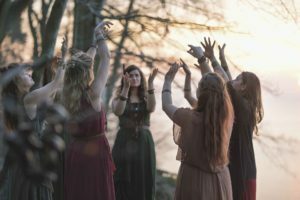 The traditional songs are often brought from their source – different regions of Poland, Europe and world, by the members of the group – having their unique history and evolving in the course of work. Finally, they are performed in a new form – traditional or enriched. Laboratorium Pieśni collaborated with Polish valued and known musicians (for example project with Kayah and composer Atanas Valkov and gues performance on L.U.C.’s album, titled “GOOD L.U.C.K”. The ensamble is also a winner of TRYTON PRIZE on FAMA Festival 2014 for the greatest artistic personality of the festival. The group is also creating theatre performances, where using traditional songs they tell stories about disappearing rites: ‘Pory Roku’ (Seasons) 2013, ‘Puste Noce – Pieśni, które już się kończą’ (Empty Nights – Songs that have come to an end) 2014. The group has visited over 15 countries with concerts and workshops (for example: USA, India, England, Germany, Switzerland, Spain, Iceland, Denmark, Belgium, Netherlands, France, Czech Republic). The video with Belarusian song ‘Sztoj pa moru’ has reached over 4 mln views, and the group is followed by more then 115 thousands fans on Facebook. More info on Laboratorium Pieśni here. 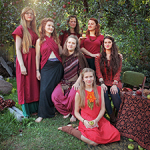 Laboratorium Pieśni have released three albums to date: ‘Rasti‘, ‘Rosna‘ & ‘Puste Noce‘. Check out their page on Bandcamp to support them directly. De Duif is located in the center of Amsterdam, where nearby parking is not easy and not advised. We advise you to come by public transport or use your bicycle. Use Park & Ride facilities if you come by car to Amsterdam. Check the routedescription and use of public transport here to plan your journey. See the route description to De Duif on their website, here. Ticket sales will start on 21 January 2019, 03:36 am (superbloodwolfmoon) here.